Dar Es Salaam region, Bus rapid transit (BRT) buses as seen from Kivukoni rd. Dar Es Salaam region, Bank of Tanzania buildings (far right) as seen from Kivukoni rd. Dar Es Salaam region, views from Kivukoni rd. Dar Es Salaam region, views from northern section of Samora ave.
Dar Es Salaam region, kivukoni rd. Dar es Salaam meaning 'abode of peace' in Arabic is one of the 31 regions of the United Republic of Tanzania that is located on its eastern part and also the country's Indian ocean coastline. 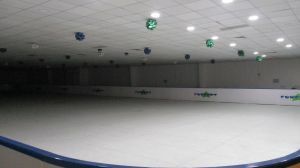 Alternatively known by its short name 'Dar', it is both a city and a region, earning itself the title 'special zone' as both share the same boundaries. 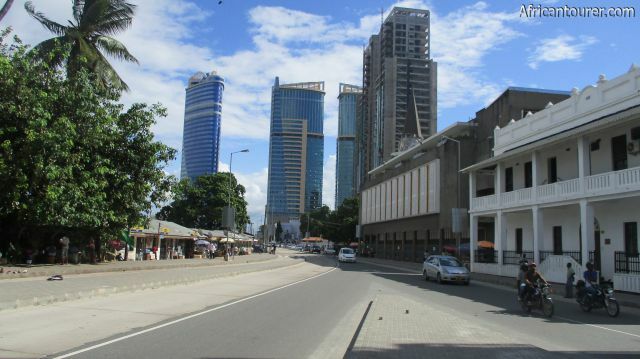 Dar es Salaam is also the commercial hub of the country, it's most populated city and former capital city. A history of the region Formerly known as Mzizima - meaning healthy city in one of the local languages, the now bustling city was a small fishing village in 1862 when Sultan Majid bin Said of Zanzibar first came to it, later on building a new town close to it (about four years later) that he named Dar es Salaam. 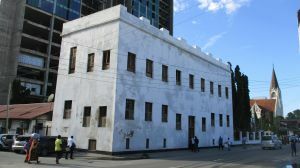 It later on fell into decline after his death in 1870, before it was revived in 1887 when the German East Africa Company established a station there. In the years that followed, the town enjoyed a steady growth as an administrative centre of the G.E.A.C.O., a port and as a hub for the railway line that was constructed in 1907 . 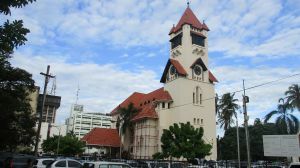 After world war 1, the now small town of Dar es Salaam fell into the hands of the British, who opted to leave it as a commercial capital, but set up separate areas in the city for Europeans (Oysterbay and Masaki), and the Africans (Ilala and Kariakoo). Its growth continued until after the independence from the British in 1961, when a policy change into Ujamaa (socialism) slowed its growth as people were encouraged to remain in the villages. 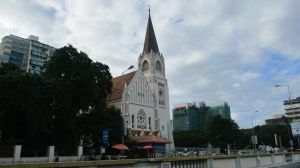 Nevertheless, it continued to be the country's capital and commercial hub, but its growth again picked up around 1985 when Ujamaa was abolished and Dar es Salaam became the country's first city shortly after that. 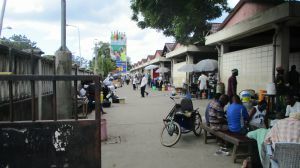 Until 1996, it also was the country's capital, before the government decided to move further inland to Dodoma, a city at the country's centre that it regarded as safer from marine attacks and also within easy reach of most the people from all parts of the country; However, the move was not implemented until 2016 when the then elected president John Magufuli implemented it, with the process set to be complete by the year 2020. 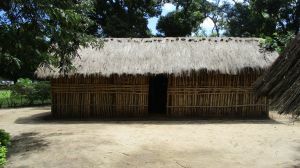 The indigenous people of the region are the Zaramo, although the city's is now heavily populated by almost every tribe of the country, most of whom move to the city in search of a better life. The region today Dar es salaam is said to be the 9th fastest growing city in the world and third in Africa (after Bamako and Lagos), something that has seen the cost of living sky rocket, as the demand for land increases. This makes it the most expensive city in Tanzania in terms of tourism, as the hotel prices are almost double what you may find in other cities such as Moshi, Arusha or Mwanza (Tanzania's second largest). 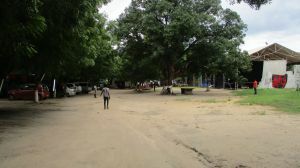 The city's infrastructure is also struggling to keep up with it's growth rate, with roads being termed too small for the multitude of cars that ply them every day. In other words, Dar es salaam is also plagued with traffic jams, which also increases the cost of transport within the city and although the current government is working hard to alleviate this, it still is far worse than anything you would find in other cities of the country. Add that to vast distances that you would need to travel to get from the airport for example and you almost certainly would be spending about 2 hours on the road each time you try to cover about 20 kilometres. 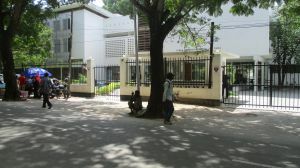 Dar es Salaam also possesses a faster lifestyle than you would find in other regions of the country, with more thieves and con men and even a few beggars at every corner, most of whom are just really struggling to cope with the harsh lifestyle. It's not that there aren't any of these in the other regions, but the more the hunger, the better the tactics. Transport in the city The main form of public transport used are the Dala dala, privately owned passenger buses with capacities of about 30 passengers that operate with a fare of about 500 Tanzanian shillings (roughly 0.2 US dollars), although the government has lately introduced a much larger Bus Rapid Transit (B.R.T.) transport system that serves a few parts of the city centre. Both of these should be used with caution if you are a foreigner unless you really now your way or you may end up lost or missing a few of your valuables. A much safer option would be taxi's which although slightly more expensive (most expensive in the country), would get you safely from A to B. There are no trams, or electric trains for transport within the city, but there are about two normal diesel-electric locomotives that serve a small section of the city, but none that would be of any significance to a tourist. These use the older and much thinner gauge railway lines and were only introduced to ease the city's congestion during rush hour. A recent addition to the city's transport scene is Uber. 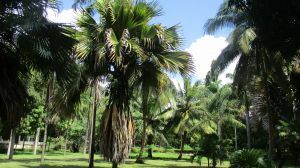 Weather in the region Dar es Salaam enjoys warm temperatures throughout the year, with significant rainfall only coming during the March to June period, during which the lowest temperatures recorded are about 23 degrees Celsius. Most of the city's long time residents don't own blankets or jackets as they are never needed, and there almost certainly is has never been an recorded incidents of harsh weather in the recent 3 or so decades. No hurricanes, or high speed winds and even the rainfall is never really that heavy. In the few moths that it does rain, much of the city is normally plagued with floods, with most of the street becoming impassable without wading through or at least jumping over murky waters. The region also has a lot of insects such as mosquito's and flies, which thrive due to the lack of the cold of the winter to kill them off, making things such as mosquito nets, insect repellent and good hygiene an important thing if you are going to visit the area. Most hotels provide nets, but you can get the rest at any supermarket or pharmacy in the area. What to do in the region? Much of the region's tourism is centred on the urban - Swahili coastal lifestyle, but influences of the many cultures that live in the area make sure that you don't really get to experience this alone. There are parts of the city that have other cultures as well such as Kariakoo (Arabic culture), and Upanga (Indian cultures). That being said there really is not much to do for tourism in the region at all, unless of course you are keen on beach side hotels for which there are plenty - at a higher price of course. At an average temperature of about 25 degrees Celsius, the waters of the Indian ocean in the area are rather warmer than what you would find in countries further away from the equator and with far less creatures that may want to harm or eat you. This means that you most likely won't have to dread that chill up your spine every time you get into the water, be it at a swimming pool or the ocean. With regards to the ocean, much of the coastline is protected by a barrier reef (dead), keeping much of the harsher waves and creatures away. All this makes Dar es Salaam a good spot for water sports and swimming. 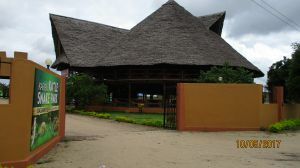 Places such as Bagamoyo, Tanga or Mtwara would allow you to enjoy more of the beach and ocean at a lower cost and as an added bonus, these are less influenced by other cultures. In other words, Dar es Salaam is perfect for business and urban tourists, who are keen to enjoy fine dining or the region's nightlife with a dash of Swahili culture - on the go, but that isn't to say that there isn't anything to do for the other kinds of tourists. 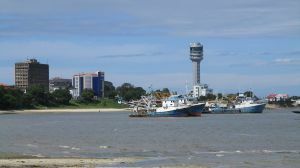 For instance, there are a few marine reserves such as Mbudya Island that you could get to from selected beaches of the city via a small passenger boat with a fare of about 5 USD. 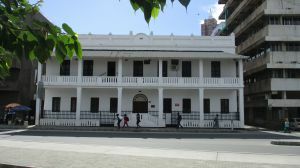 There also is the nation's largest museum - right at the city centre, that holds a lot of the country's colonial history (20th century) and the state house that is unfortunately closed to all outsiders. So if you were thinking of coming to Dar es salaam as part of your holiday, then make sure that you bring a lot of Moola too - and get a local to show you around (or read more of our pages). Don't be like one of the many that complain online about how bad or expensive their hotel, food, traffic jams or taxi service was. Just use Dar es Salaam as a hub while in transit to your final destination. Dar es Salaam is located on the eastern border of mainland Tanzania and right on the Indian ocean coastline, with only the Zanzibar Archipelago(Tanzania islands) standing between it and international waters. 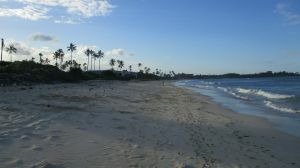 It has Tanga and Mombasa (Kenya) to the north and Mtwara to its south, with the altitude of most parts of the region varying from sea level to about 200 metres above it. For more information on its location, please see the map below (click to start). How to get there? Dar es Salaam can be easily reached by air from any part of the world, as there are direct flights from almost every major hub in air travel, with most of the big names in the industry offering direct flights or at least connections from other parts of the world. It also can be reached by boat, although there aren't a lot of passenger ships to the area from other countries, but plenty from other regions of Tanzania, such as Zanzibar, Pemba and Mtwara. From inland Africa, you could get to Dar es Salaam via flight or road and although the lengthy road journeys may take their toll on you, it would provide a nice opportunity to see other parts of the country. A much better and more scenic route to the place would be via the railway network, coming either from Kigoma along the Rwanda border, or Tunduma along the Zambia border, with the latter being preferred by many.  Do you have a tourism related business in Dar Es Salaam or Tanzania in general? Contact us to list it on our website or create an account to be able to do it your self. Its free and always will be.